Private 11 bed luxury villa. 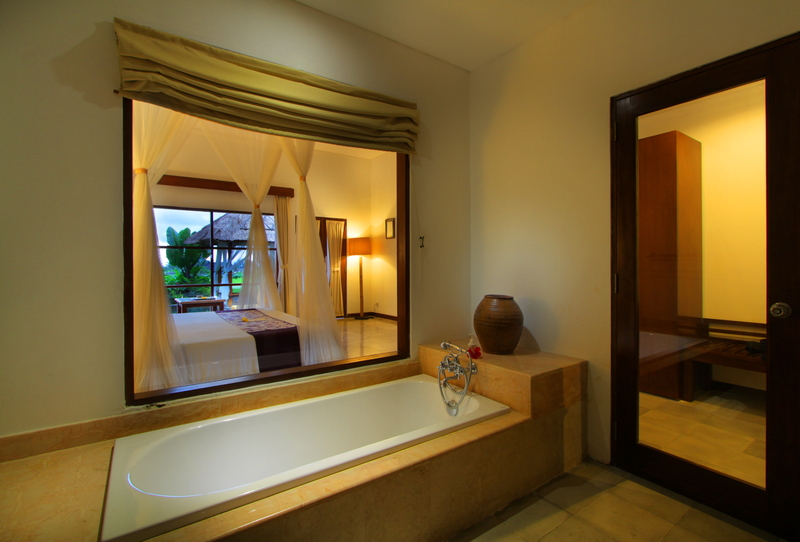 Each Double or Triple room is only steps away from the surrounding rice fields and many open onto a private deck with seating. 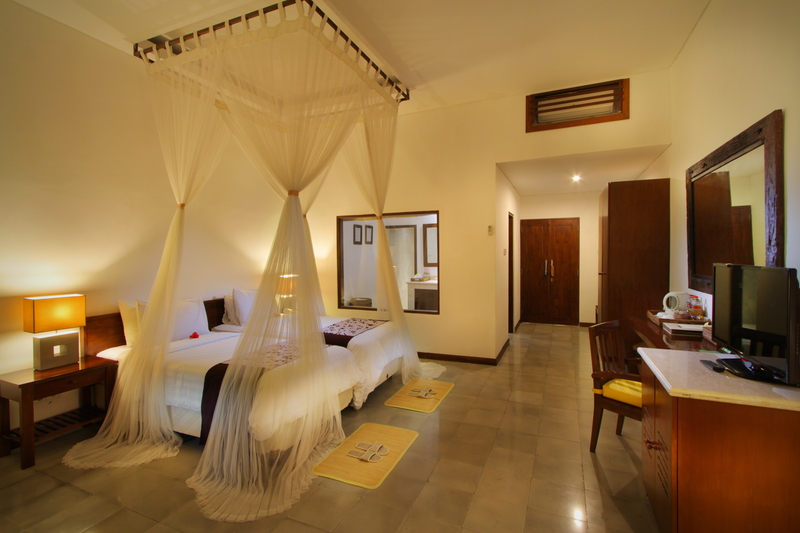 Handpicked furniture, fine cotton sheets and authentic Balinese touches are combined with European styling. • The resort will provide soap & shampoo and conditioner for your use. • The resort will provide fresh, clean water for drinking. Bring a water bottle. • The resort will provide a small refrigerator for your use during your stay. 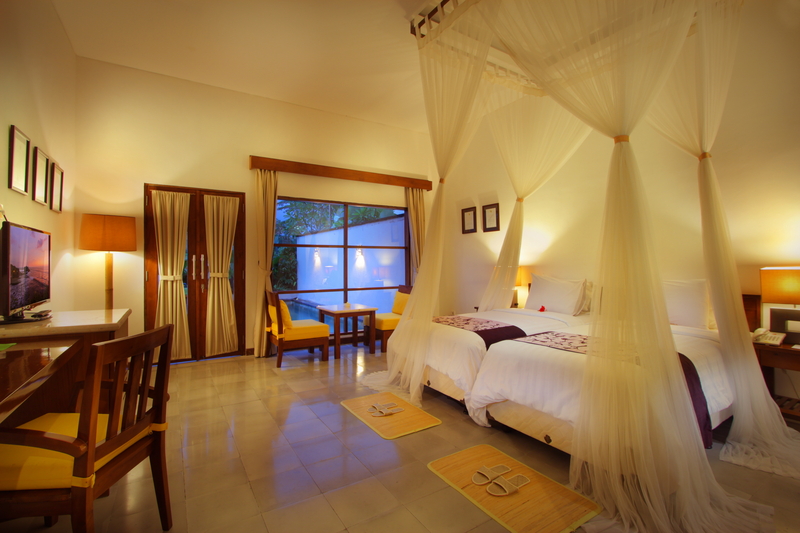 Yes, the hotel provides wireless internet in the main house, all rooms and public spaces. Yes. There is laundry service with 1 to 2 day turnaround. Laundry is priced per item & order forms are in every room with up-to-date pricing. There are also many local vendors nearby offering laundry service if you want other options.